Central Florida Earth Day will feature fun and educational activities at the Earth Kids Zone! 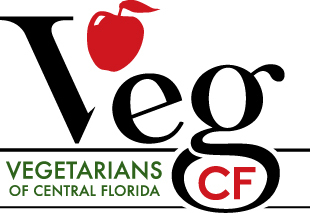 The Earth Kids Zone is sponsored by and Garden Sponsor My Central Florida Family. If you are a interested in doing a kids activity at Earth Day, please complete the Earth Kids Zone Application. If you have questions, please contact Earth Day kids zone coordinator Kristin Eaves at Kristin@CFEarthDay.org or 813-765-9776 before registering. 35 singing girl scouts from all around Central FL will perform pop, positive, patriotic, and parody songs. 2:00 p.m. Solutionary Species "Solutionary Kids"
Join a veggie scavenger hunt, learn how to be a health detective, and meet Muffin, a rescued cockatoo. And hear six year old VeganEvan rap and tell you why he loves being vegan. 5:00 p.m. Vegetarians of Central Florida "Green Cleaning Creations"
Make your own green cleaning solution with essential oils and take home loofah plant seeds to grow your own loofah sponges! 12:00 p.m. eSTEAMed Learning "Chulily Inspired Recycled Art"
Kids will learn about the global plastic crisis and decorate pieces of plastic to mold into chulily inspired sculptures or mixed media portraits. 3:00 p.m. Warrior One Power Yoga "Kids Yoga"
All are welcome to come stand tall like a tree, slither into cobra, swim like a dolphin, and bark like a downward facing dog. 1:00 p.m. Teens Go Green "Project Recyclable Runway"
Watch a trash fashion show and design competition and make your own creations out of recycled materials. Enter the Enviroscape, a hands on activity where kids can "help pollute" our environment and then "spray rain" to see how the run off causes the pollutants to enter our water supply. Make your own edible paint and paint on a wood palate. Make your own reusable bags out of old Earth Day T-shirts. Make your own eco-paint using flour, water, and food coloring and paint on a big wooden pallet. Body Art Fusion: Choose your own design or animal face painting. Odyssey of the Mind: Take goofy pictures in a handmade photo booth.